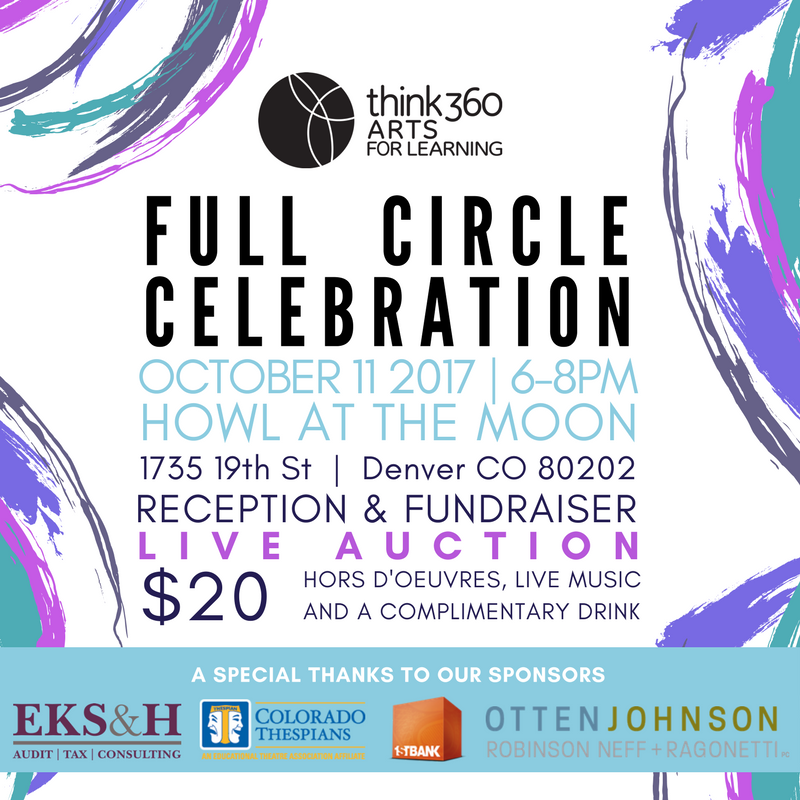 The board and staff of Think 360 Arts will host the Full Circle Celebration, a festive reception and annual fundraiser for those who support arts education. Join us for a night of live entertainment, food, drinks and fun to celebrate the strides we've made throughout the year to promote arts education and integration. Tickets are $20 which include hors d'oeurves, live entertainment, and a complimentary drink. To learn more about the event and to purchase tickets click here.